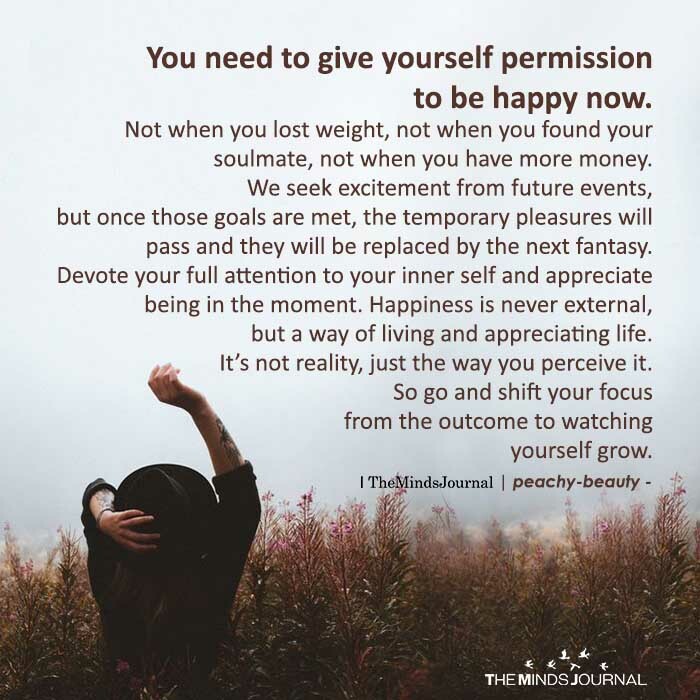 You need to give yourself permission to be happy now. Not when you lost weight, not when you found your soulmate, not when you have more money. We seek excitement from future events, but once those goals are met, the temporary pleasures will pass and they will be replaced by the next fantasy. Devote your full attention to your inner self and appreciate being in the moment. Happiness is never external, but a way of living and appreciating life. It’s not reality, just the way you perceive it. So go and shift your focus from the outcome to watching yourself grow.